A wedding ceremony in Iran has lots of traditions that families should consider doing. At first, the groom’s family goes to the bride’s house with flowers and pastries in order to propose. After this formal meeting, if the answer was yes, then the real work begins. The groom’s family must go to the bride’s house for the second time for “bale boroon”. In this tradition the mother of the boy gives the girl a ring as a symbol of commitment. 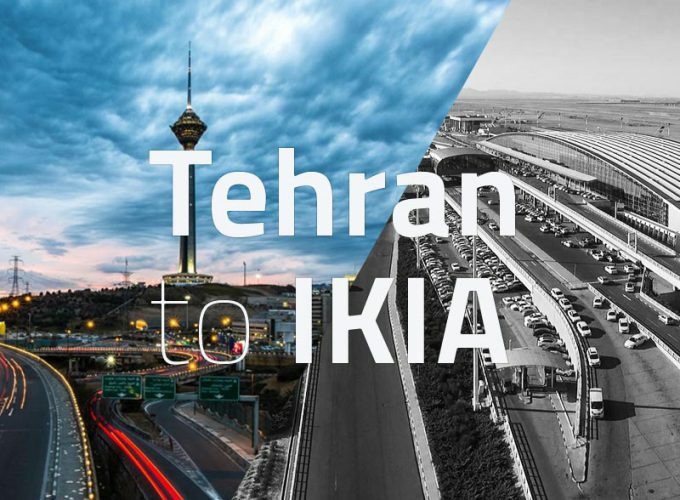 Mehrieh is another thing that will be discussed in “bale boroon”. 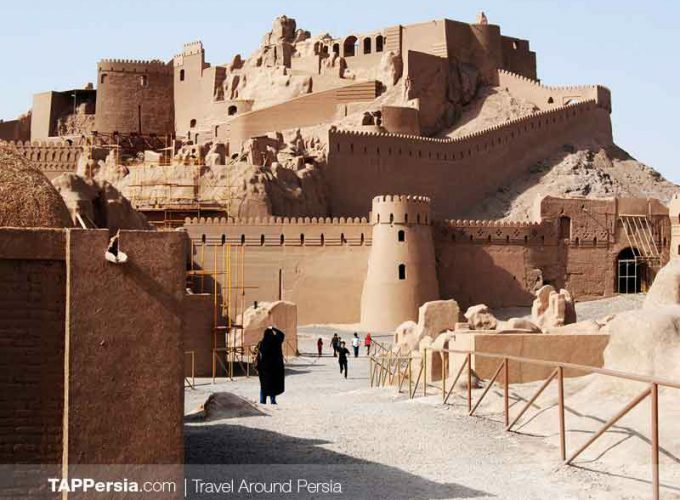 Mehrieh is the opposite of dowry, and is a promise that groom gives to bride incase of a divorce. 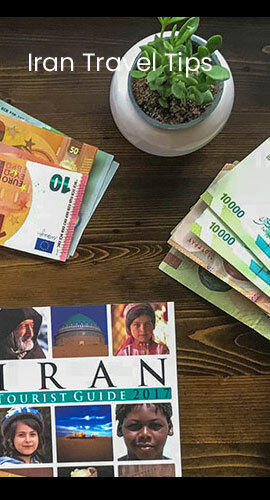 Usually Mehrieh consists of gold coins or house . Both families discuss about how many coins should be written down. It’s an agreement between families and it makes bride’s family to feel secure about their daughter. Now the preparations begin, shopping and arranging the wedding ceremony. It is common in Iran to have two ceremonies. The first ceremony is called “Aghd” in which the couple become man and wife. This ceremony usually takes place from noon to night, juice and sweets are served for the guests and it’s maximum 5-6 hours. A religious man reads some sects of holy Quran and asks the bride “Do you agree?” and after three times asking, the bride says yes. 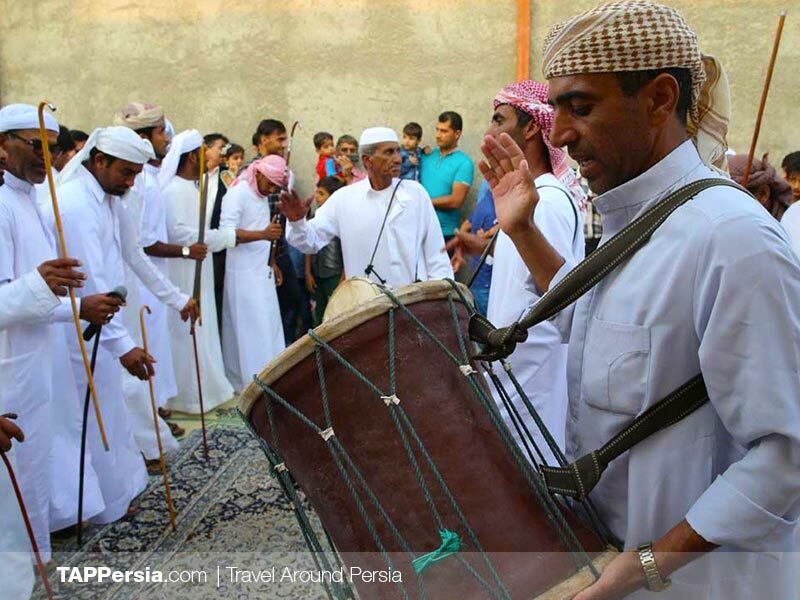 The second one is called “Aroosi” and it’s all about dancing and having a good time. There will be dinner, sweets and flowers in Aroosi. After the party, everyone scourts the bride and groom’s car which is decorated with flowers, and they go to the newlyweds house and the rest of the party continues there with close friends and families. This was the general traditions of weddings in Iran. 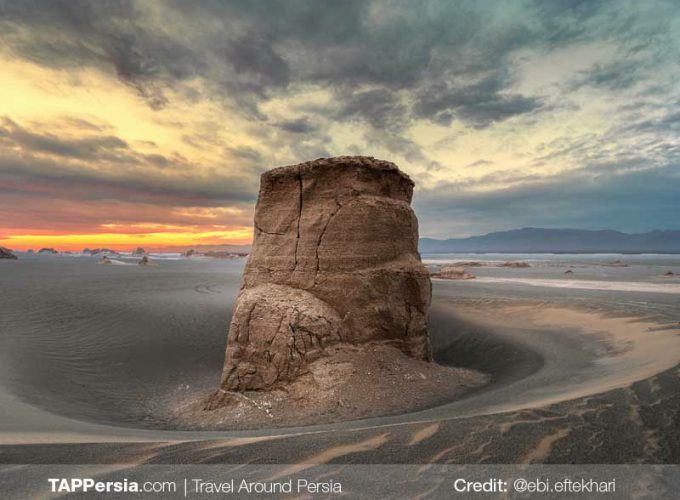 However, in different parts of Iran, this ceremony has various traditions. 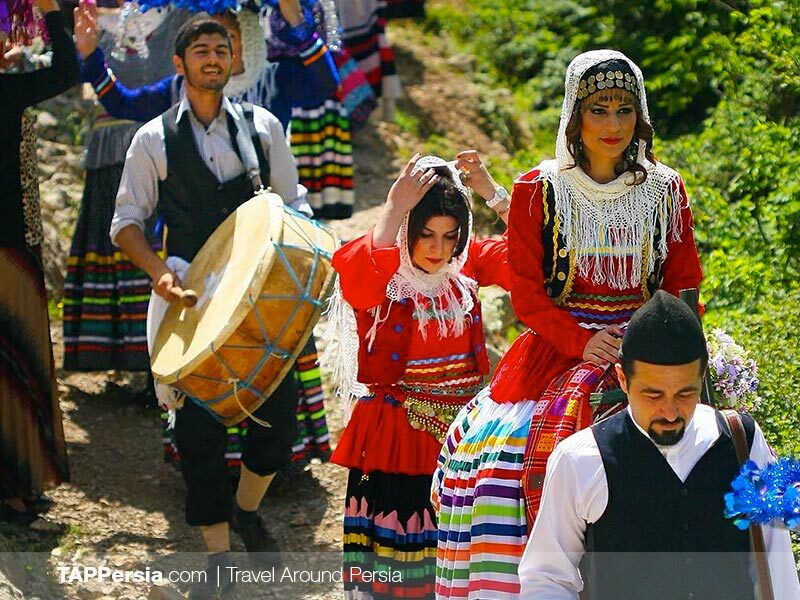 Besides the mentioned usual traditions, there are some special folklore that take place in the northern part of Iran. For instance, a woman, which is called “Khoorgir”, is sent to invite people to the wedding. One day before the ceremony, groom has to send meat, rice, oil and other things to the new house with sheeps and along with music. This tradition is known as Kharj bar. At the same night “Henna bandan” takes place separately for the groom and bride. Close friends and families gather, dance and spend a good time. They put henna in the hands of boy and girl. They believe henna is from heaven and it brings happiness to their life, so they put some henna in their hands for a life full of joy and happiness. At the night of the wedding people put their gifts in large trays, which is mostly money and house fittings. They put the trays on their heads and go through the house while singing and dancing. When the bride gets to the door of her new house, her father-in-law has to give her a golden coin as “pa naaz” which Is a welcoming gift. 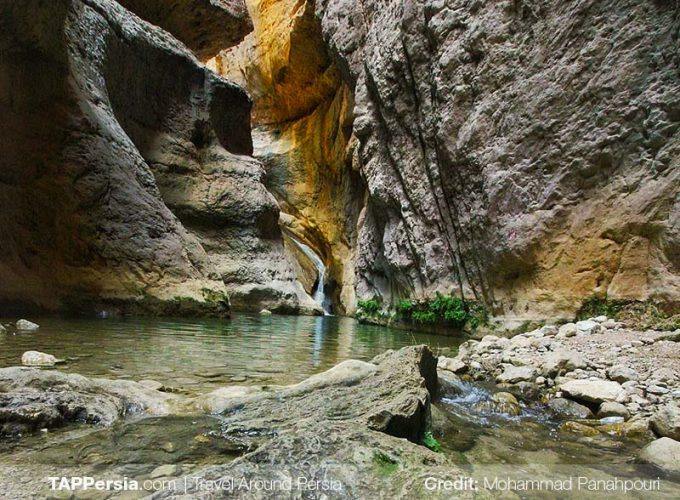 Lorestan has many different traditions from proposal and engagement to the wedding itself. Since there are different tribes in this province, the traditions are a little bit different. What is interesting is that it is not very common that they marry another tribe. One tradition that used to be very common among Iranians was receiving “Shirbaha”. Shirbaha is the money paid by the groom to the bride’s family as a thank you for raising the girl. 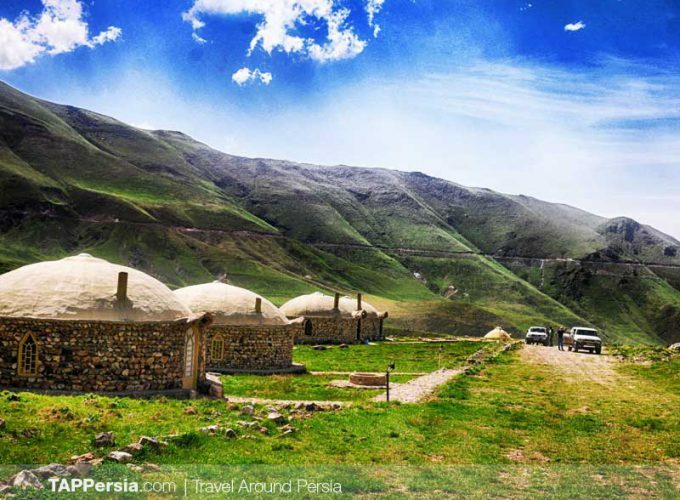 Nowadays it’s not that common but some areas including Lorestan still receive Shirbaha which is used for buying the dress and buying settlements for the house. Another interesting tradition is “Sarkaleh”. In this tradition the groom’s family buys clothes for the girls and women of the family and give it to them as a gift after the wedding. 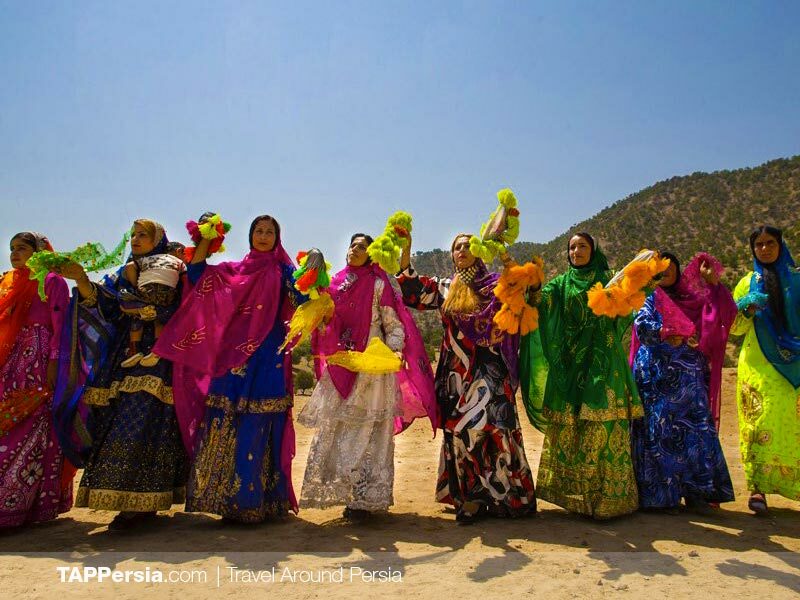 Weddings are so colorful and full of joy in every section of Lorestan. Everyone wears their local costume and dance in their own special way. No Djs and no special songs, only Dhol (similar to drum) and Corna (similar to saxophone). They dance in a harmonic way, waving their colorful pieces of cloth in the air, with a big smile on their face. In some tribes this kind of dance is known as “Toshmal”. Another interesting place that have their own traditions for having a wedding ceremony is Kurdistan. 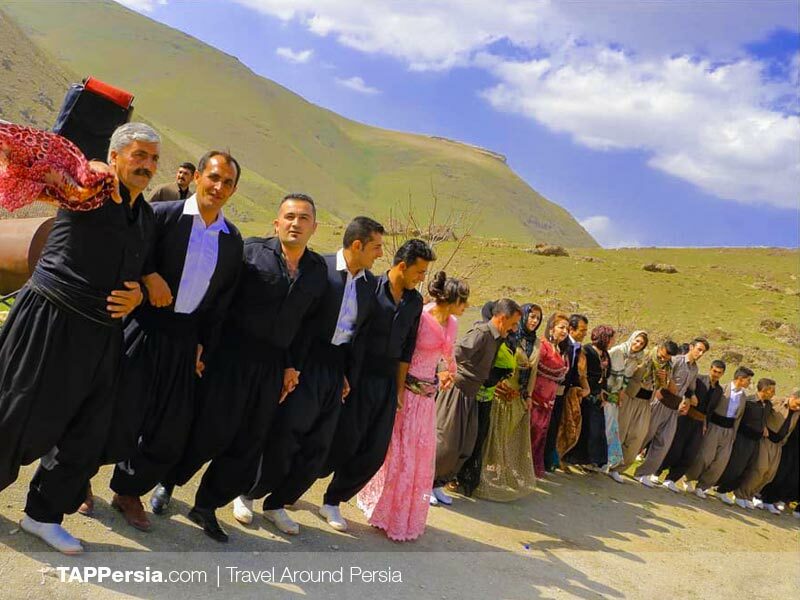 The most interesting thing about this region is that weddings in Kurdistan take 7 days. The traditions before the exact day of wedding is also included in the days and it is very important to them. For two days, women of the neighbourhood go to the groom’s house to help them bake bread. Then, the groom’s family send a woman and a girl to the bride’s house. They cook for the bride’s family and put henna in the hands of bride, bring the dresses which the groom’s family have bought for them. They have to stay there for a couple of days to make sure that everything is ready for the wedding. Seven joyful days, everyone do their best for arranging the wedding, dancing and counting days for a wonderful night. Another 7 days wedding which is now decreased to 3 days, but still nothing have changed from its beauties. Weddings in cities like Qeshm start from lunch time. Close relatives gather to have lunch together in the bride’s house. Then they prepare the groom and the bride’s room. They spend a few days in the bride’s house then return to their own house. In all this time no one is allowed to see the bride. When the sun goes down the guests arrive, the groom and two other men of the family have to hold each other’s hand and walk to the bride’s house dancing and singing. Now it’s the bride’s turn, she and two other women start singing a special song and dancing around the room. Bride is not allowed to show her face to the others, only when the guests are gone she can remove the net from her face. Then for seven days you can hear the voice of bagpipe and women singing together. 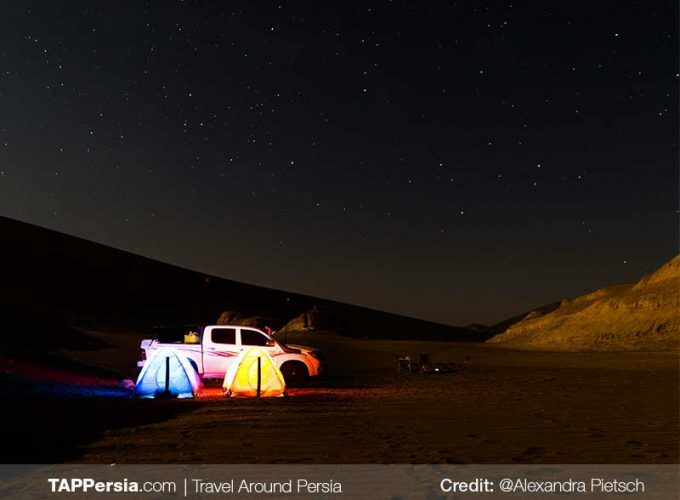 All over Iran, you will see lots of unimaginable traditions which all have a reason. The common thing between all the weddings is their colorful dresses and pursuing happiness and the beautiful way of their dance. Hope you get a chance to experience one of these traditional weddings and become a part of the joy of their wedding ceremony.